Update: I went back to the Western Lutheran Cemetery in December of 2018. 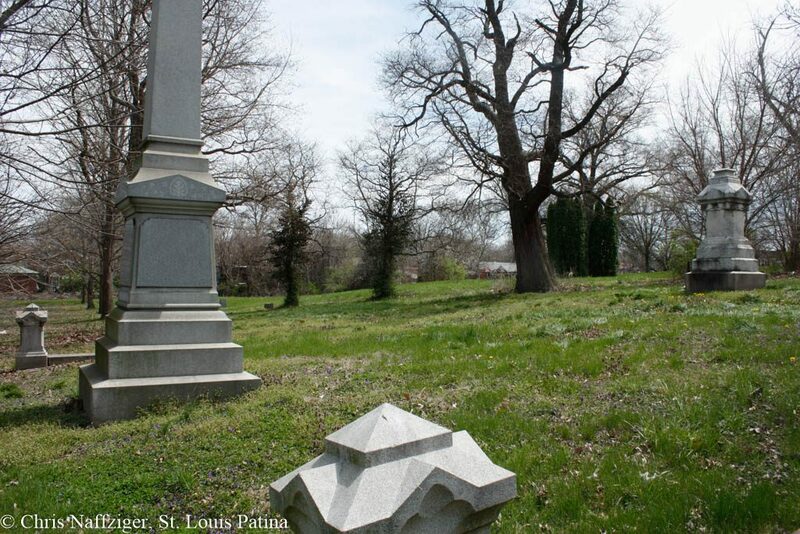 I got back up to the Western Lutheran Cemetery, founded in 1865, and I made some new observations now that the grass is shorter. This is easily one of the most historic, if largely forgotten, cemeteries in the region, and it is tucked away in North City. 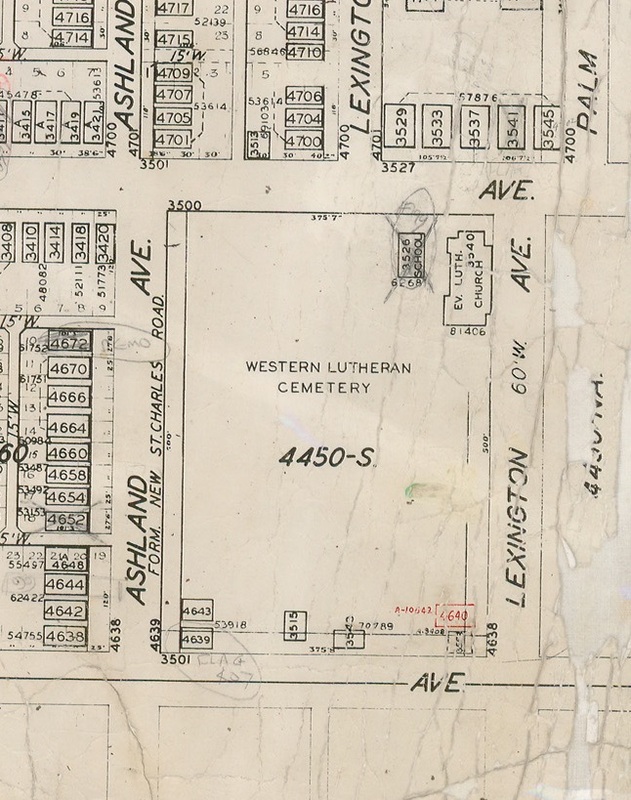 From its “paper plat” map, I learned there was a small school building south of the church building (north is at the top), and I’m still intrigued by the weird shaped plats on the east side of the cemetery, where there are still houses. 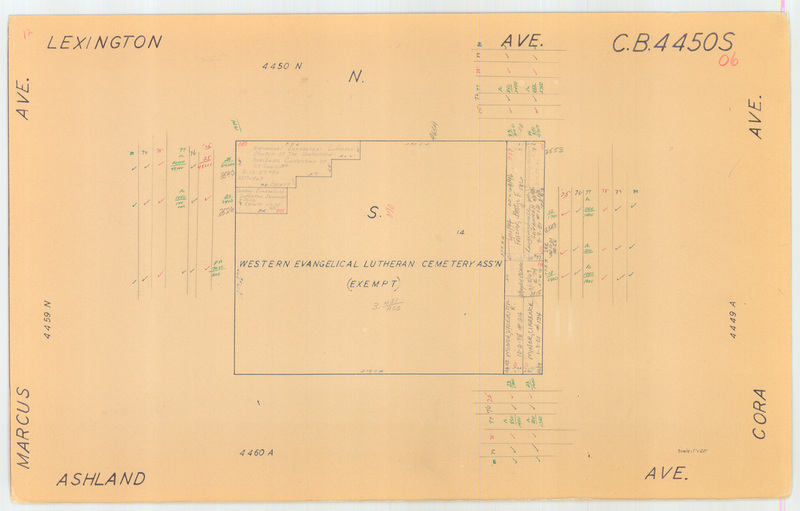 The “plat map” reveals something else fascinating (north is on the right), and also explains why the cemetery is now tucked away in an isolated location. Ashland Avenue was formerly New St. Charles Road, so like most cemeteries, it was once on a major artery between St. Louis and St. Charles. It is south of Natural Bridge Avenue now. The demolished school has been crossed out with a pencil. Update: I revisited Immanuel Lutheran Church in January of 2019. 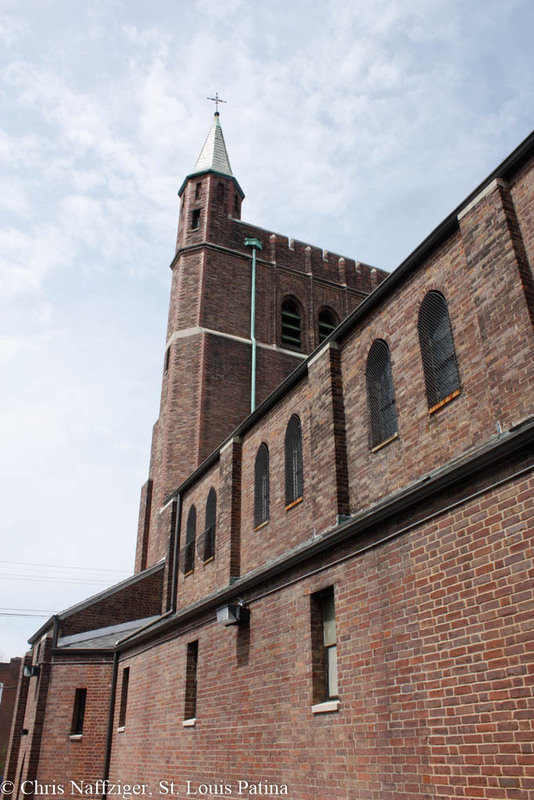 The nearby church, which was once Immanuel Lutheran Church, is in what I might call Norman Gothic Revival Style. It is well-maintained and occupied by a new congregation. Note the fencing on the windows, no doubt to keep errant balls from the schoolyard next door from breaking the stained glass. 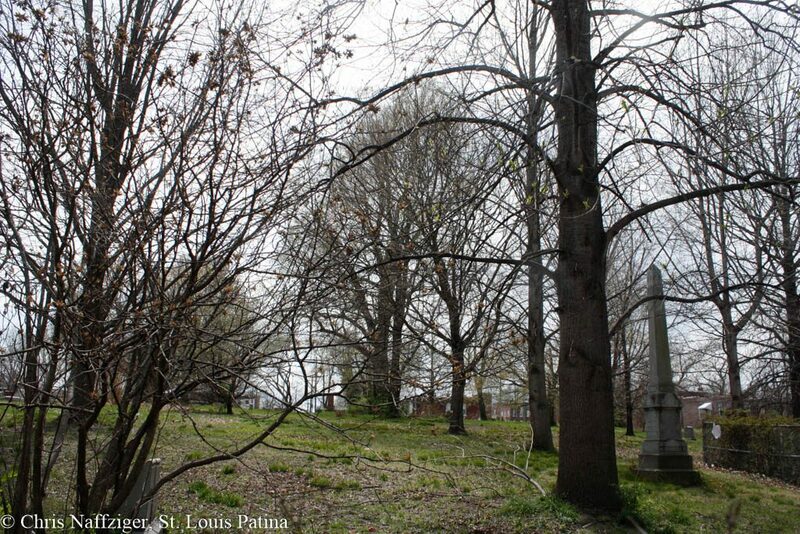 Debbie, stay tuned for additional photographs of the cemetery on January 11th, and thanks for reading!